We’re still waiting on Samsung to officially unveil the Galaxy Note 8, but it’s never too early for rumors about the next set of Galaxy phones. Citing industry sources, South Korean publication The Investor (via The Bell) reports that Samsung has informed its display-making unit of the display specifications of the Galaxy S9, Galaxy S9 Plus and Galaxy Note 9 in preparation for next year’s launches. After shaking things up with a stunning new design in 2017, Samsung looks to be staying the course next year, as the report claims that the Galxay S9 will feature a 5.77-inch display and the S9 Plus will feature a 6.22-inch display. 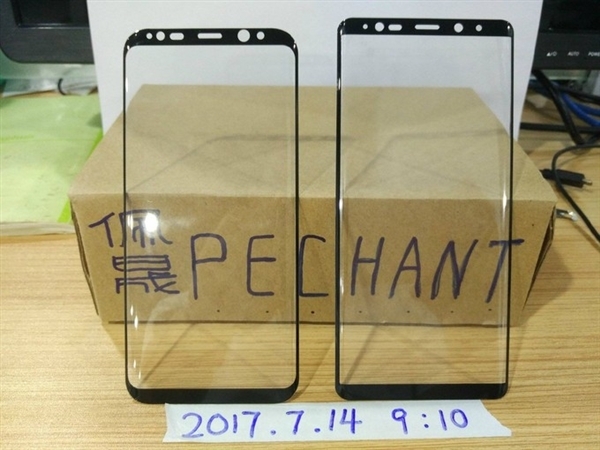 Those are the same sizes as the screens on the S8 lineup released this April. Finally, the Galaxy Note 9 is tentatively set to use the same 6.32-inch display as the Galaxy Note 8, which Samsung is expected to reveal at an event in New York on August 23rd. If the sources are to be believed, 2018 will be like Apple’s iPhone S model years for Samsung — some new features, but a similar design.